As Vice President, Accredo Specialty Trade Relations, Bill Martin leads a team that works closely with pharmaceutical and biotech clients to address strategic needs and to provide ongoing support through all phases of the product life cycle. This expertise includes pre and post launch planning, distribution, reimbursement, adherence, and high-touch support services. Martin previously served as Vice President of Business Development and Strategy for Accredo and has more than 25 years of experience in the health care industry. Martin has held various positions of leadership including general management, marketing, medical education, sales, and product development. 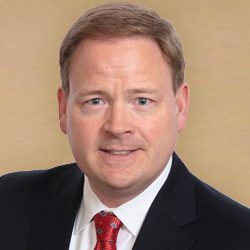 His key areas of interest include rare disease support strategies, distribution channel strategies, and the developing biosimilars marketplace. Martin holds a bachelor’s degree in communications and business from The University of Tennessee.